﻿ University of Florida president Dr. John J. Tigert seated at his desk at home. University of Florida president Dr. John J. Tigert seated at his desk at home. 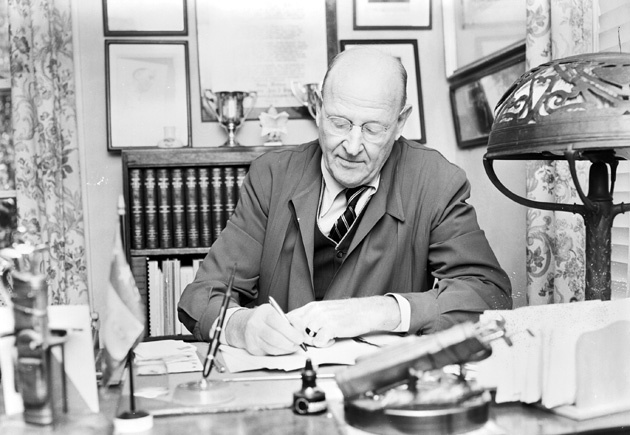 University of Florida president Dr. John J. Tigert seated at his desk working at home. All rights reserved, Board of Trustees of the University of Florida. Photograph 4288 from the University Archives Photograph Collection.